A heavily pregnant British woman who was told to prove she is from the UK to receive free NHS treatment says she was targeted because of her Polish surname. 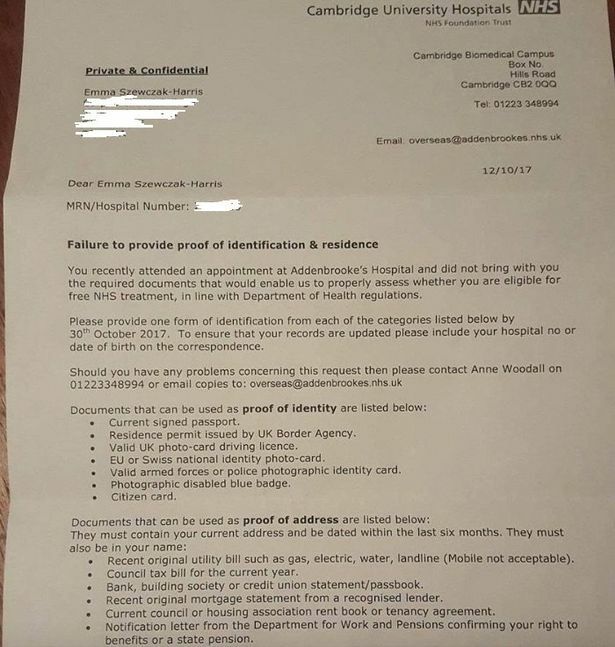 Emma Szewczak-Harris was sent a letter from Addenbrooke’s Hospital in Cambridge saying she failed to provide proof of residence at an appointment. 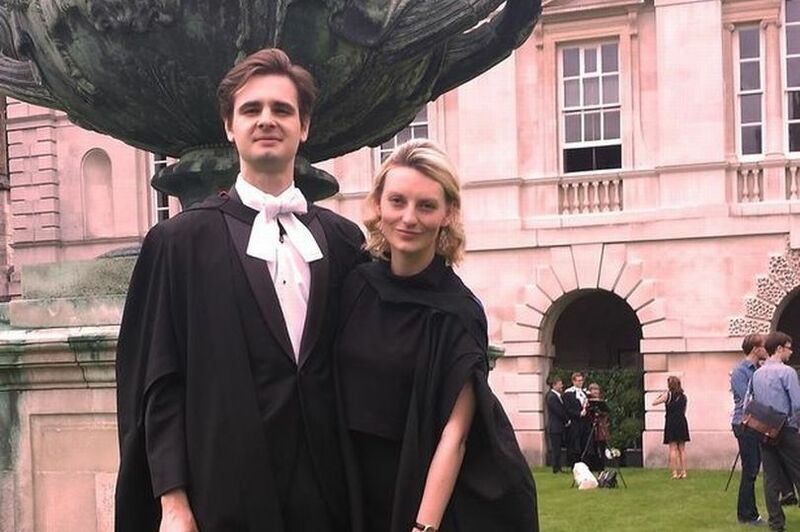 The 26-year-old, who is eight months pregnant, said it was a “disgrace” that she was sent the letter accusing her of not producing the documentation, claiming she had never been asked for it in the first place, the Cambridge News reported . “I’ve absolutely no idea why I received it other than my surname,” said Mrs Szewczak-Harris, whose Polish husband works for Cambridge University on the Addenbrooke’s site. “As I'm pregnant, I'm going to the hospital a lot at the moment, but no one has at any point asked for my credentials which - as a born and bred Brit - are completely sound. The letter dated October 12 from Cambridge University Hospitals NHS Foundation Trust is headed “failure to provide proof of identification and residence”. “After 26 years of living in the country and using the NHS, I've never had my identity policed until now,” said Mrs Szewczak-Harris, who took her husband’s surname after getting married. According to campaign group Docs Not Cops, from Monday October 23, all NHS trusts in England will be forced to check the residency and immigration status of patients and demand upfront payment for care from those who can not prove their eligibility. A Cambridge University Hospitals spokesman said: “The Department of Health has asked the trust to pilot a scheme to allow us to better monitor and collect payment from overseas patients who are not eligible for free NHS treatment. "This brings us into line with national NHS guidelines and how many other trusts operate. “From August 1, 2017 all non-emergency patients in maternity and urology have been asked in their appointment letters to provide two forms of identification when they attend - one to prove identity and one as proof of residence. Once you have provided this information you will not be asked again. “What are they going to do? I’m entitled to that,” she said.